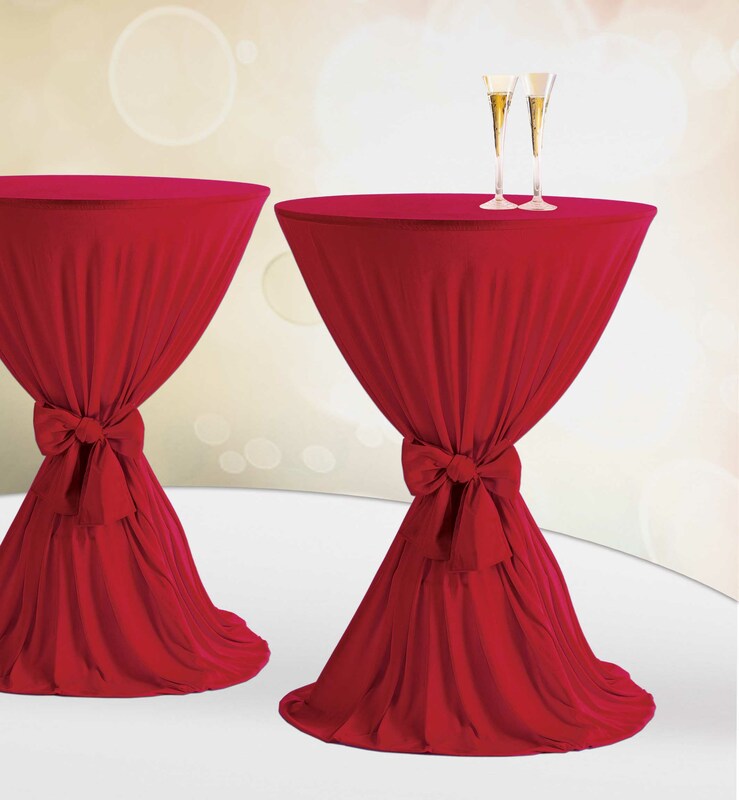 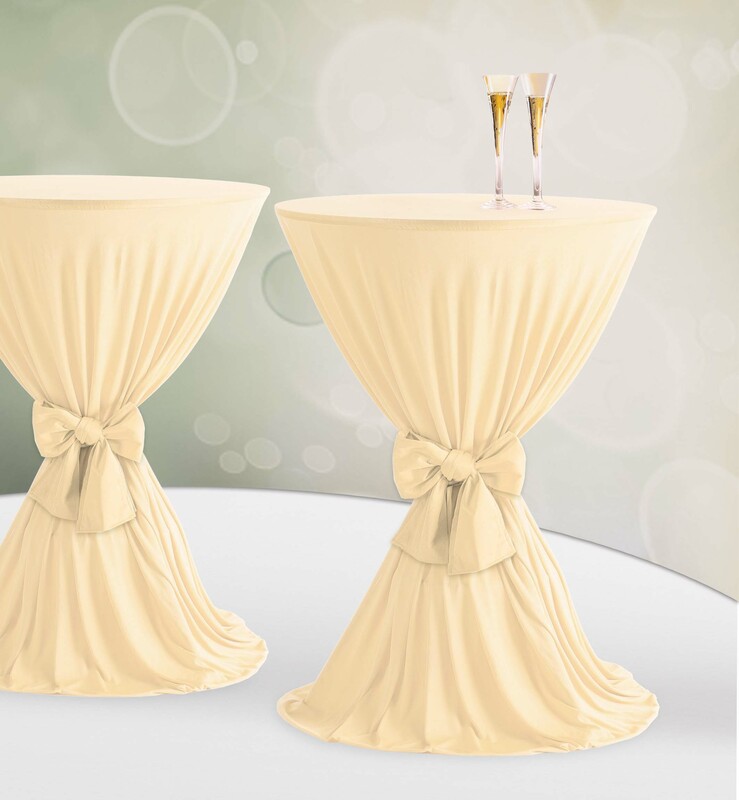 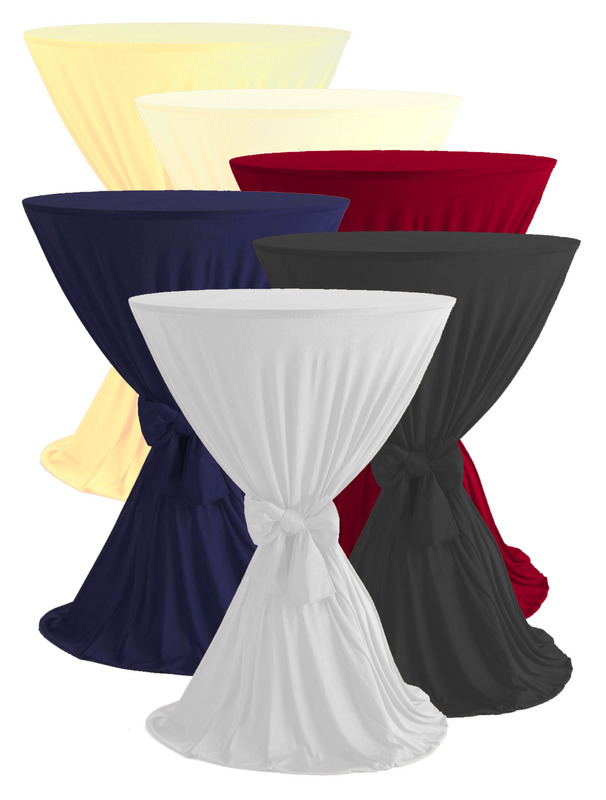 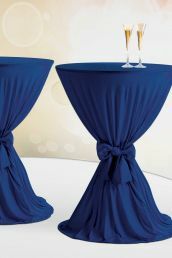 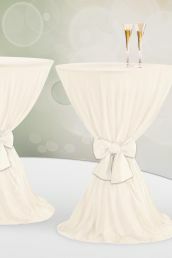 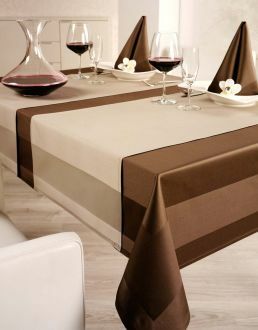 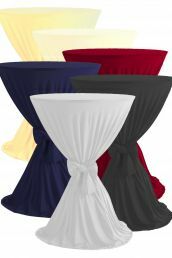 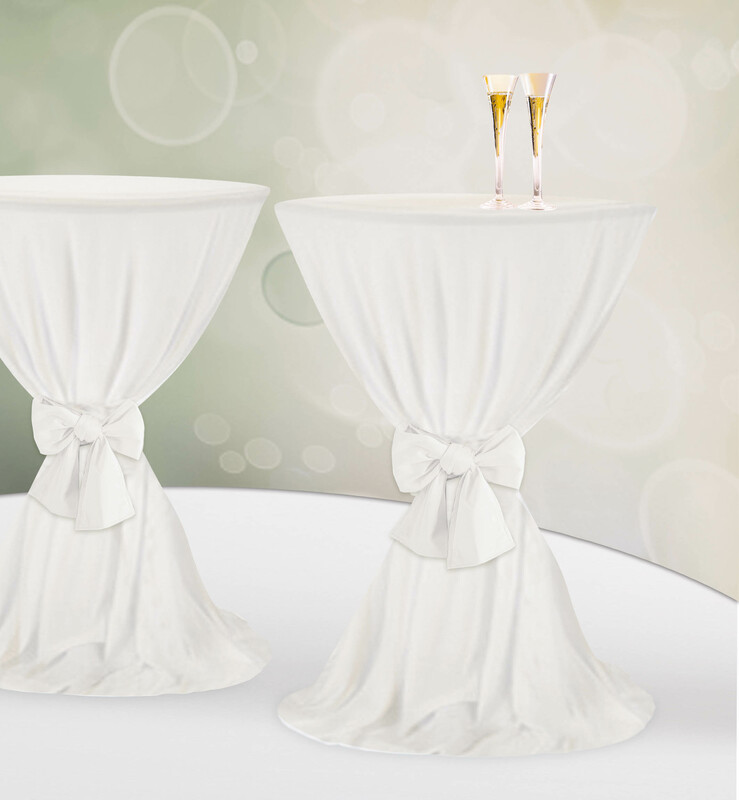 The table-covers of flowing jersey stretch are suitable for table heights of 105-115 cm. 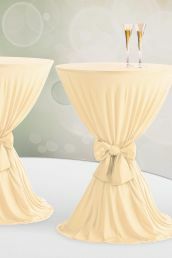 they are stabilised by a circumfering rubber band in thebase and decorated with a ribbon of approx. 15 x 190 cm.